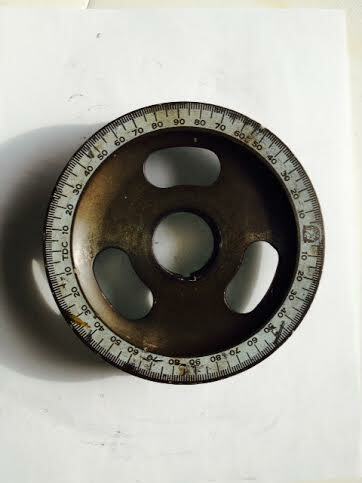 Bugpack Power Pulley - 5 3/4 inches in diameter. Used power pulley for Type 1 upright. Bugpack Power Pulley - 5 3/4 inches in diameter. Used power pulley for Type 1 upright. Designed to increase the HP of your VW power plant.